To drive along the Makhonjwa Mountains is to travel back in time. Not only are the ancient geological sites lovely to behold, they are a portal into the earliest history of the earth itself. Words by Hlengiwe Magagula. When news came of the declaration of South Africa’s 10th UNESCO World Heritage Site (WHS), there might have been a few folks consulting their atlases. The Makhonjwa Mountains are in a little visited corner of the country, spanning the border with the Kingdom of eSwatini (Swaziland). But their alternative name gives a clue as to where to find them: the Barberton Greenstone Belt. I know the area well, but I must confess I had little clue as to the value of the rocks in these parts, which go far beyond mining ore. 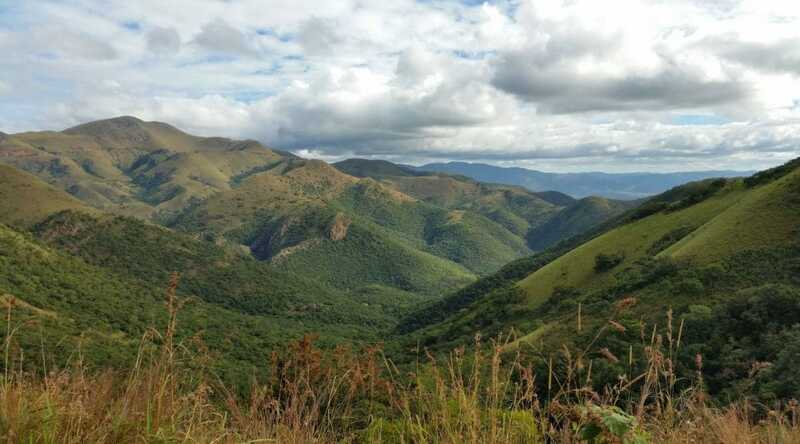 The Barberton Makhonjwa Mountains World Heritage status is based mainly on the unique geology: 340m years of continuous geological activity is on show. The most fascinating feature is a microfossil that seems to show evidence of bacterial mats – the earliest life form yet known. The WHS has put Barberton back on the map, and it’s the natural starting point for a tour of the Makhonjwa Mountains. There’s been a noticeable increase in international visitors coming to tour the Barberton Geotrail, a marked motor route along the R40 between Barberton and the eSwatini border. 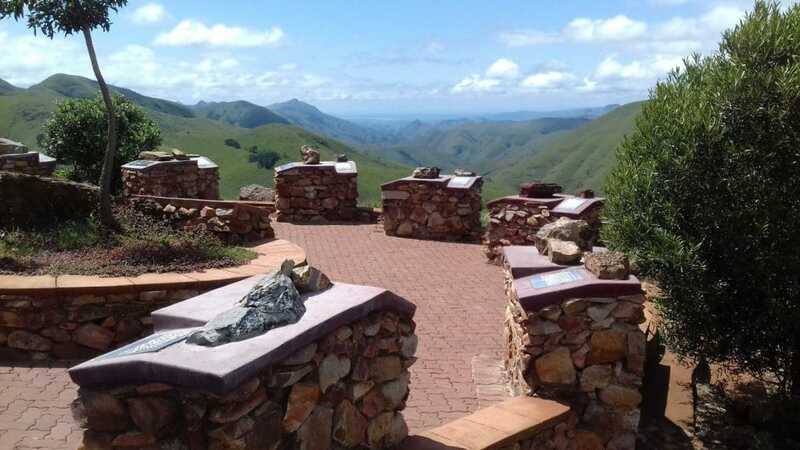 The Barberton Makhonjwa Geotrail gives visitors a glimpse of the earth as it was during the Archean, a geological period that spanned some 1.5 billion years. Picture by Barberton Makhonja Mountain World Heritage Site (BBMM-WHS). A lot of visitors will turn back before the border, but an overnight trip into eSwatini would nicely fill a long weekend. The town is under four hours from Johannesburg, so with a morning start, there’s time to pick up supplies at Barberton Shoprite and be on the Geotrail for a picnic lunch. The R40 curves and rises into the mountains, a smooth surface in a buckled landscape. There are about eleven lay-bys along the way, each explaining another geological aspect. The best lunch spot (with toilets) is the Lebombo Makhonjwa viewpoint, 25km from Barberton. With outdoor seating, toilet facilities and far-reaching views – the Lebombo Makhonjwa viewpoint makes for an ideal lunch spot. Picture by BBMM-WHS. Allow a couple of hours for the Geotrail and keep an eye on the clock, as the Josefsdal border closes at 16:00. There’s something nice about a sleepy border crossing, where the staff are waiting just for you. The road soon takes a turn for the worse. The potholes are so deep they are like a tribute to the mining history. Take it easy, and in a few minutes, Bulembu appears. Once you get used to the sight of the enormous tailings in the background, it’s a very pleasant place, and good for an overnight at Bulembu Country Lodge, which was previously housing for mine management. The museum is definitely worth an hour of your time. In the morning, if you are feeling fit you can get up and down Emlembe, eSwatini’s highest peak at 1,862m, in under four hours. 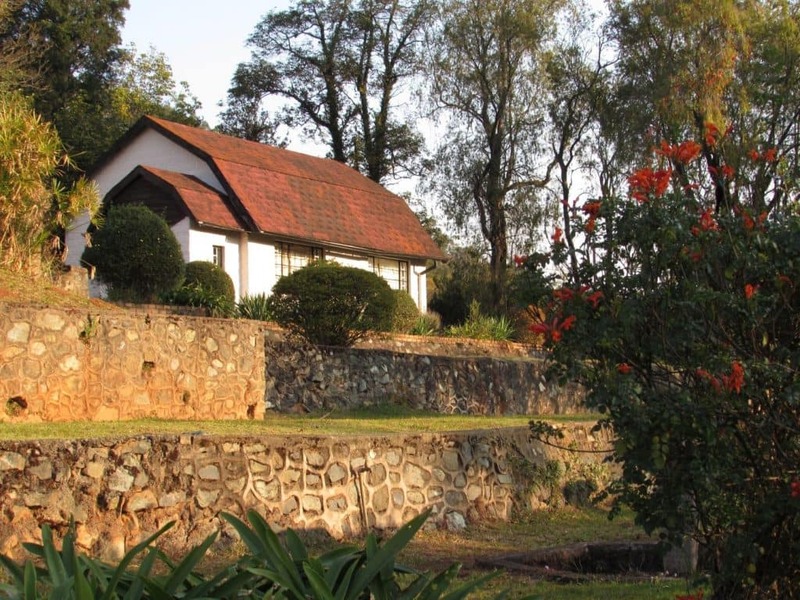 Bulembu Country Lodge lies at the foot of Mount Emlembe, the highest mountain in eSwatini. The lodge is surrounded by many beautiful nature reserves, including Songimvelo Nature Reserve and Makhonjwa Nature Reserve. Picture by Hlengiwe Magagula. If you decide not to overnight at Bulembu, carry on as there are good options ahead. The MR20 road to Piggs Peak has been promised surfacing for many years, but for now it is still churned by logging trucks. As it’s all downhill on this loop, even a low sedan can make it in 40 minutes with care. Piggs Peak is a place to top up the fuel tank or tummy. A little north of town is the upmarket Phophonyane Lodge and falls. To continue the circuit, turn south on the MR1, the Kingdom’s most scenic road. It curves through the highveld grasslands and plantations of pine and eucalypt and is never too busy. Along this part of the road there are craft stalls selling soapstone carvings, another sign of the interesting geology in this ancient range. For camping, head for Malolotja Nature Reserve, an hour and a half from Bulembu – watch out for the sudden speed bumps near the Komati river bridge). Malolotja is a hiker’s paradise. As well as the camp, there are self-catering log cabins, but I found them a bit run down and lacking utensils. If you’re not self-catering, the best overnight options in the area are Maguga Lodge and Hawane Resort. The route continues south on the MR1, to the junction with the MR3, the major road that crosses Swaziland. A left here will bring you into the eSwatini heartland, but for this mini-tour, turn right towards the border. Jump off the highway at the first exit following the sign for Ngwenya. 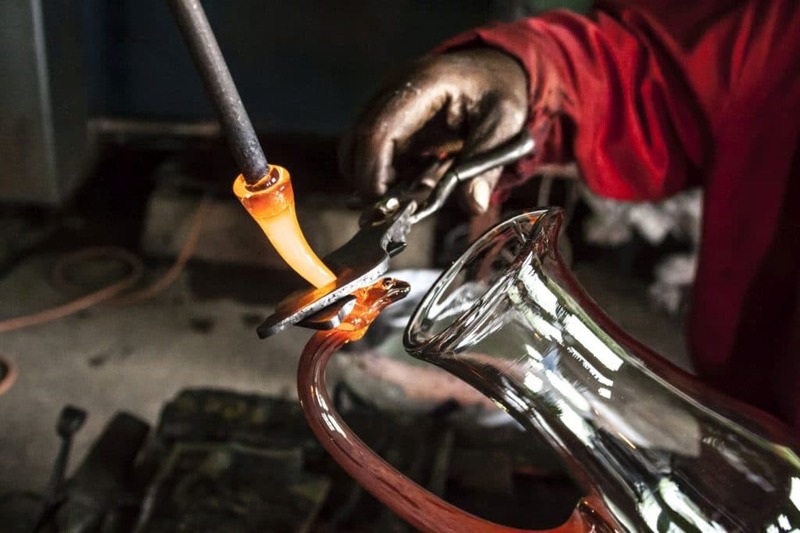 The Ngwenya Glass complex offers a fascinating view of glass blowing craft, and some very tempting tablewares, a café and several other shops to get those Swati crafts. Ngwenya Glass makes their glassware from 100% recycled glass, mainly from old cooldrink bottles. Picture: Nwenya Glass. A little further along the same road is Ngwenya mine. Not a lot to find there, just the little museum, and a sense of wonder that right here is the earliest evidence of mining anywhere in the world. Our ancestors were smart. 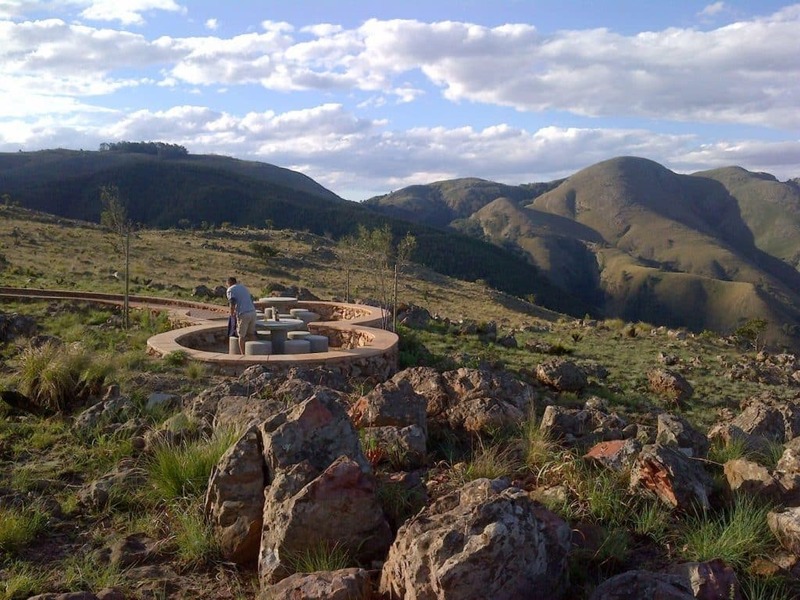 To make a full circle, you can return to Barberton via Badplaas, where the Forever resort is recovering from severe summer floods – the pools are due to reopen soon. Or for a little more adventure, turn north on the unsurfaced road through Songimvelo reserve. With 4×4 there are some side roads into the reserve for birding, fishing and picnics. You can stop at the new café and B&B at Msauli Village, and as this road is little travelled, they could use some support. There’s also a self-catering camp at Kromdraai, run by Mpumalanga Tourism. The road emerges onto the R40 just west of Josefsdal, and turning left lets you experience South Africa’s 10th World Heritage Site all over again, from another direction. • This tour can be taken year round, and it rarely exceeds 25°C even in summer. It’s chilly for camping from May to August with night temperatures below 10°C. • Josefsdal border hours are 08:00–16:00. Pay R50 for road tax, and don’t forget the passport and ZA sticker. The Oshoek border is open at 07:00 and can be busy at long weekends and other holidays. 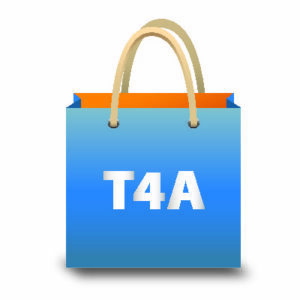 Take on Africa’s most scenic roads using the T4A GPS Maps, available on SD card or downloadable from our website. Maps are compatible with Garmin GPS systems only.